We will often tell you that Koi and pond plants are not friends. 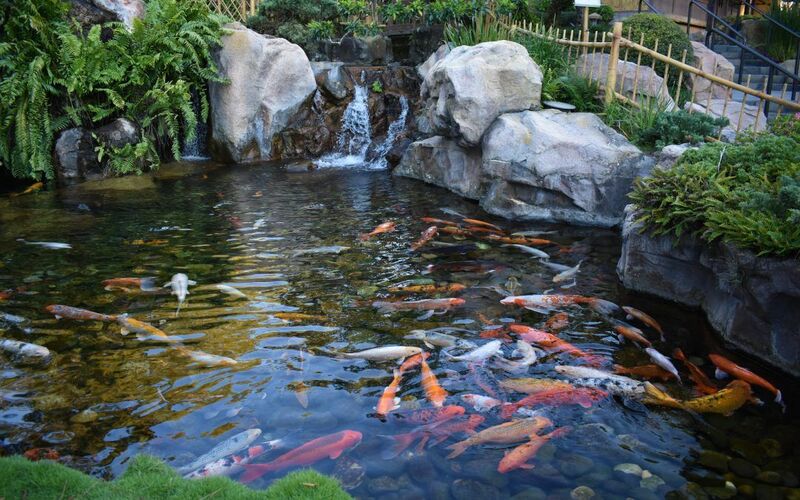 Of course you need plants to keep your pond clear and balanced but, the trouble (and joy) with koi is that they are intelligent and inquisitive fish. They are also, by nature, diggers – hence the barbels. In the wild they are bottom feeders and will root through the mud looking for food. To add to the problems, they are omnivorous and will try eating pretty much anything. If you introduce anything new to their world, such as a water lily, it’s playtime! And it may also be food. So any new pond plant, in a planting basket, is fair game. The soil will be rooted out and the plant nibbled to death. At the same time, the more and larger fish you have in your pond, the more excrement they produce. As this rots, it reduces the oxygen level in the water and adds large amounts of nutrients to the ecosystem. The challenge is to grow enough plants in your pond to use up this high level of nutrients. Due to this high level of nutrients, unless your koi pond is in complete shade, it will suffer from algal invasion, especially the dreaded blanket weed. No amount of mechanical filtration will cope for long and even expensive UV treatment systems will struggle. One natural solution is to add a filter bed to your system. You can do this by creating a feeder pond above the koi pond. Fill this smaller pond with gravel and stock with plants. The plants will naturally remove dirt and nutrients from the water before it goes into the koi pond. The filter bed must use suitable plants that grow well in our climate, such as glyceria spectabilis, cyperus longus, Louisiana irises or caltha polypetela, see the full list here. We would recommend that the plants are planted into soil in baskets and dunked into the gravel so that the surface of the water/gravel is just proud of the top of the baskets. The plants will then send roots out into the gravel to feed. It may also be possible to fence off an area of the koi pond just for plants. You can use a strong nylon mesh as a barrier. Make sure the mesh is not large enough to trap any of the fish, and reaches to just below the water surface. Another option is to protect a shelf area with large rocks or baskets of gravel and plant marginal plants behind this barrier. Again, plant into planting baskets for added protection for the soil. In the safety of these protected areas you can grow oxygenating plants, water lilies and marginal plants. If blanket weed is your problem, don’t despair. 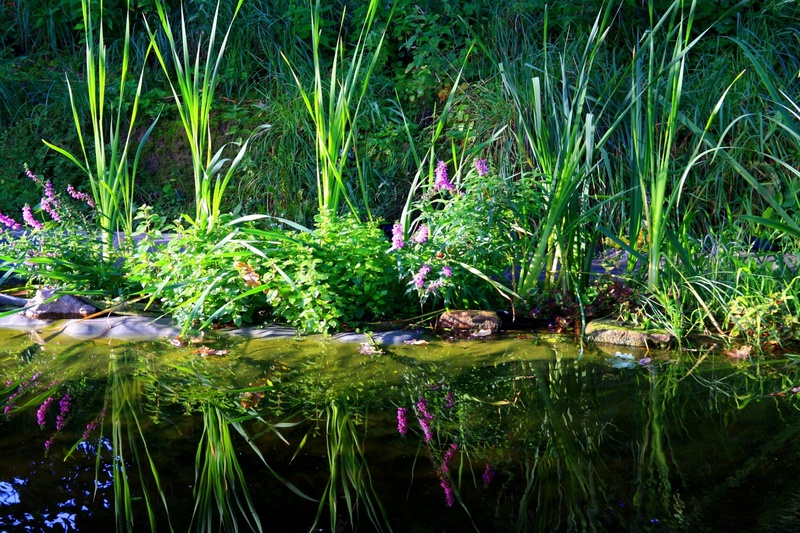 Take a good look at your pond and you’ll be surprised at the possibilities. There are many ways you can cordon off a few sections of your koi pond to grow enough plants to keep blanket weed at bay.